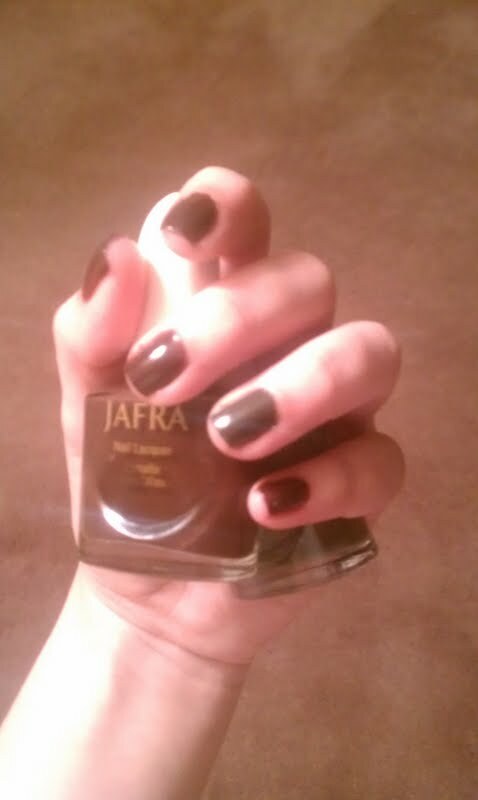 Hello darlings, I've mentioned Ruby Red by Jafra before so naturally I had to make a post about it! As I've stated in one of my first blog posts, Jafra is a brand similar to Avon, or Mary Kay. My mother was once a salesperson, and I received many freebies due to that. As an accent, I used After Dark, a brownish, greyish, tuapey color. Again, I apologize for the picture quality, still working on that! I tend to gravitate towards darker colors, regardless of the season and loved these two together! I know this brand is rarely mentioned but let me just say its a great quality, nail wise. 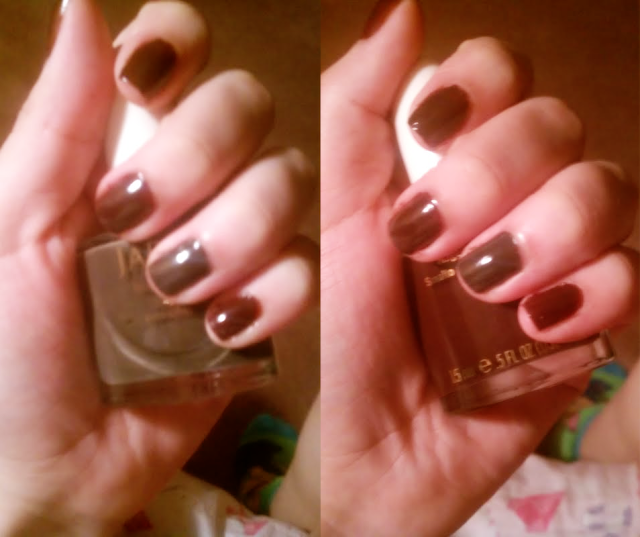 My nails were completely opaque after two coats, and the sheen seen is also after two coasts, no top coat added! 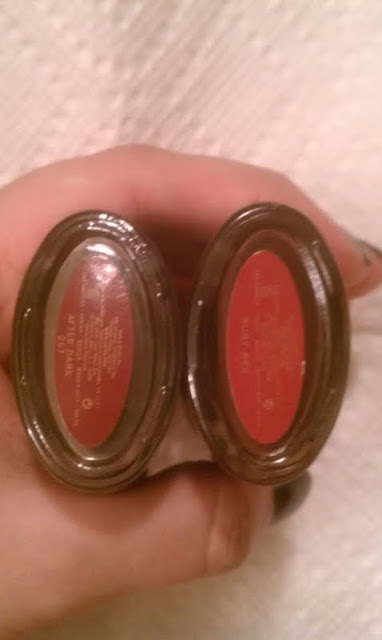 Without a top coat I'd say the polish lasts about 3 days, depending how handy you are. Always keep an open mind to lesser known brands! Don't always be fooled by the name and notoriety! 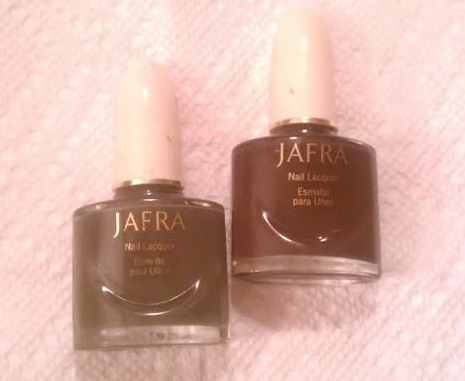 I've had these babies for a while now, and I honestly know if Jafra still carries them... As the bottle has changed since I've had them; nonetheless, if you want to check Jafra out you can do so HERE. So pretty. Love the dark and wintery colors! those colors look amazing ! Any and every comment is appreciated and always read! Leave me any questions and I'll be sure to answer. And thank you for reading this post! If you'd like to further contact me my email is open to anyone who wants it ramosdalia3@gmail.com. A humble soul with a heart of gold, blogging about life and it's bits and bobs. Let's Get Inspired: Bedroom Decor! All graphics and pictures taken are mine, unless stated otherwise. Powered by Blogger.